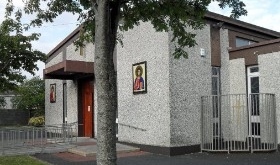 Welcome to the Church of St John Vianney, Ardlea Road in the Archdiocese of Dublin, served by the Sacred Heart Fathers (Dehonians). We hope that the information provided is of interest not only for parishioners but for visitors to our church and those wanting to find out more about the Catholic faith. If you're new to the area, please come along to join us as we celebrate Mass and to our various parish activities. The weekly newsletter aims to keep you up-to-date with what's happening in the parish. You are welcome to come along to our services, join in with our events and find out what's happening over the coming months. Our parish is dedicated to St John Vianney, the Curé of Ars, the patron of Confessions and the Patron of Priests. For forty years he was the parish priest of Ars, a small village in France, where thousands flocked every week to see this living saint and to be transformed by his advice and encouragement in the confessional. Ours is the only parish in Ireland dedicated to him. Why not come along and pray at his shrine in the church, which is open all day.